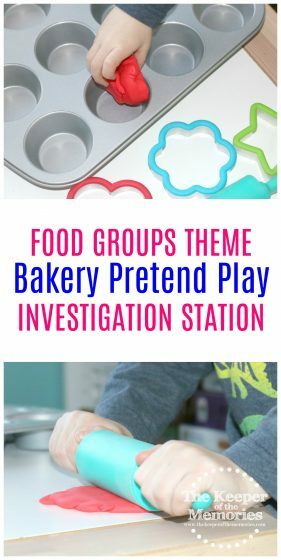 Teaching Preschoolers about Health & Fitness is so important and something that’s lots of fun is of course learning about food groups with activities like this awesome Preschool Food Groups Theme Bakery Investigation Station. You’re definitely going to want to check it out! A new month means a new theme. And this time around, we’re learning about Health & Fitness. This week’s topic is Food Groups and today the little guy and I learned all about Grains. This week couldn’t have started more perfectly. The little guy was playing in his pretend kitchen and brought me a snack. On my plate, he put one item from each food group except for the Grains. He gave me a banana, which we decided was a fruit and a tomato that is of course a vegetable. He also included a piece of cheese and some chicken, so needless to say I ended up with a serving of both dairy and protein too. A grain is a seed harvested from a grass plant (like wheat or corn). They grow all over the world and in different types of climates. Grains include rice, oats, bread, and pasta. It is important to make sure that at least half of the grains eaten are whole grains. The daily recommendation for prescholers is 3-5 ounces. We talked about what Grains are and where they come from. One of the things that we usually do when we start a new theme is to pick one of the Investigation Station activities and set it up for us to play with off and on throughout the week. 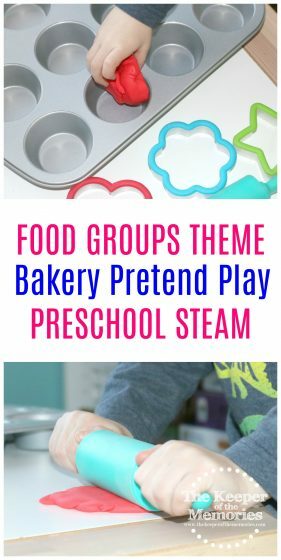 This week, that ended up being the Preschool Food Groups Theme Bakery Investigation Station. What do bakers make? What are you making? What do you need to set up a bake shop? 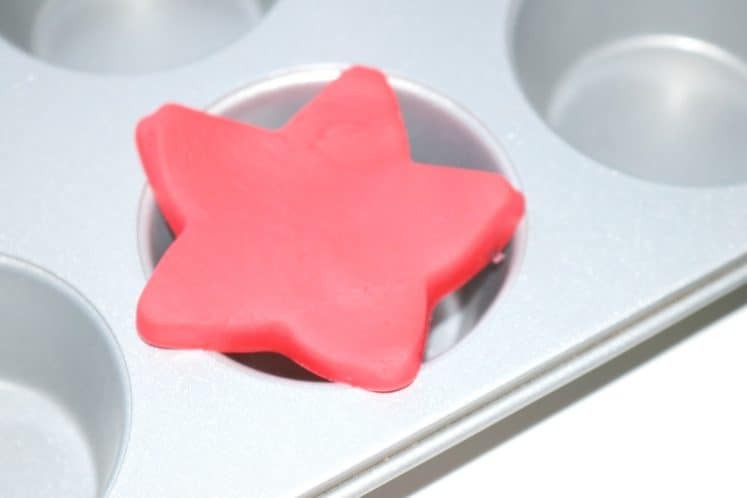 How can you make different-shaped baked goods? I gave the little guy a muffin pan, a rolling pin, and a few cookie cutters. 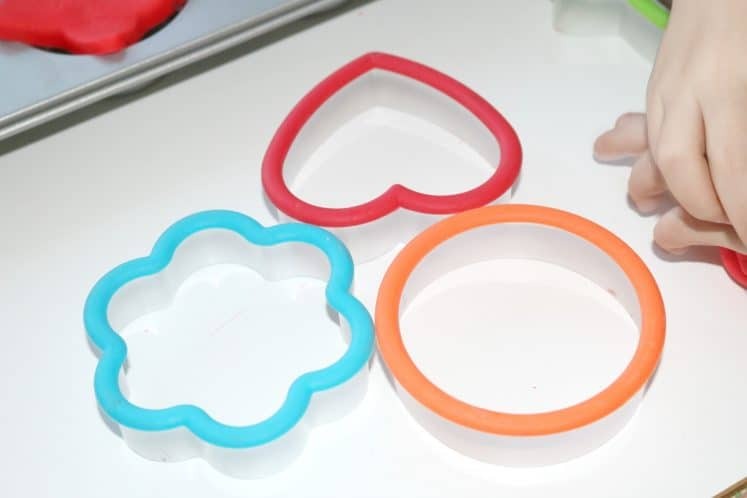 And instead of real dough, we used Play-Doh to bake up lots of grain goodness! 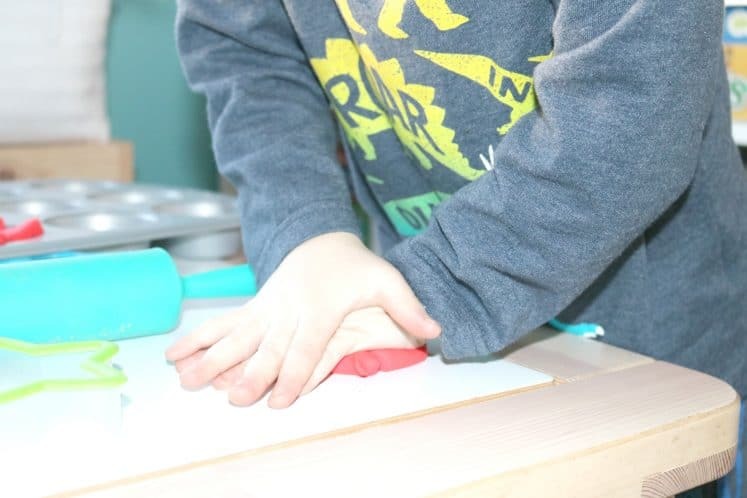 We had a blast together rolling and cutting and baking. 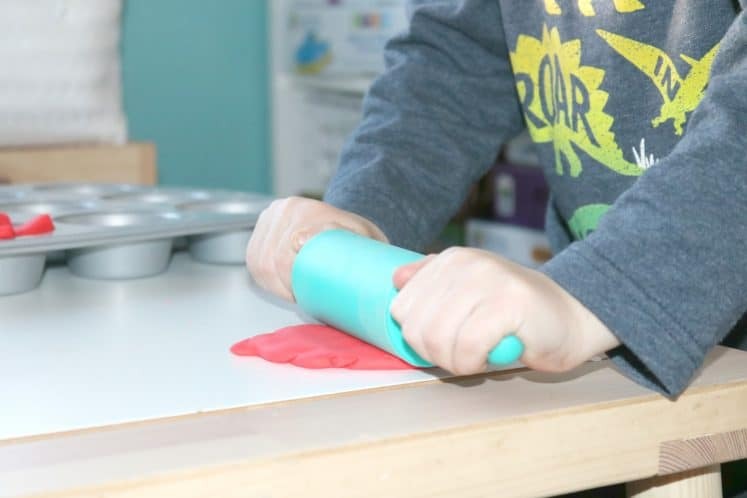 The little guy guy used the rolling pins to flatten his Play-Doh and the cookie cutters to make shapes. 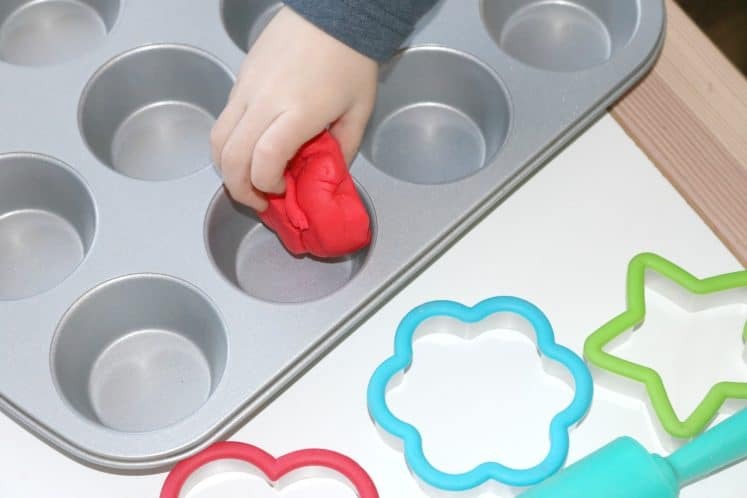 When he was finished, he put his creation in the muffin pan and into the pretend oven it went. As a homeschool mama, I love activities like this. 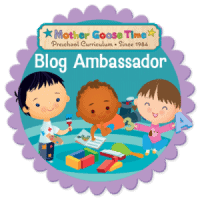 Pretend play is so important for little kids. It’s just one of the many ways that little kids explore the world around them.